More than 50 outlets have been covered by the project to date, with energy bills reduced by as much as 37% in the supermarket giant’s 24-hour stores. There has been substantial coverage in both trade and mainstream media of the potential for next generation lighting to deliver dramatic cuts in energy bills for the retail trade. But it is arguable that the potential of new lighting and other green technologies to improve the customer experience and overall business performance – something highlighted by the recently-published Health, Wellbeing and Productivity in Retail: the Impact of Green Buildings on People and Profit report – has yet to receive comprehensive recognition. 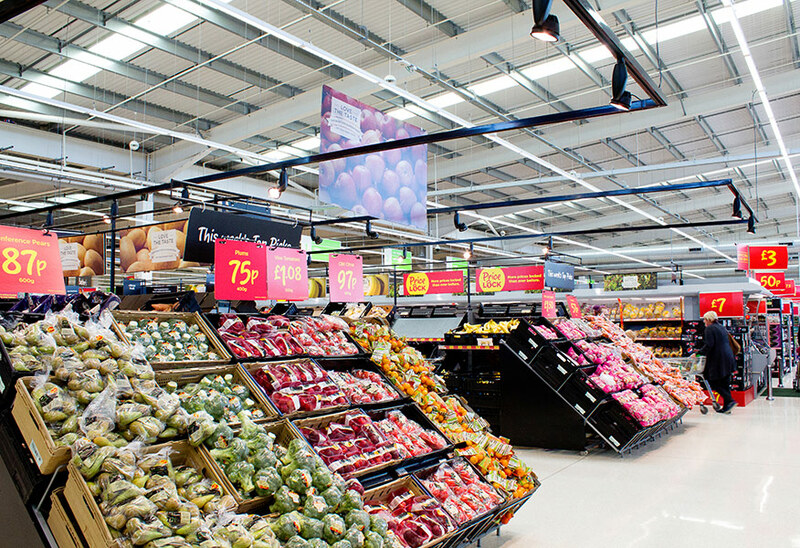 All of these strands appear to be coming together in a four-year nationwide programme being undertaken by supermarket giant ASDA to reduce the energy footprint of its stores. Alongside voltage optimisation, building management technology, and heating and ventilation optimisation, the conversion to LED lighting is an integral part of the upgrades. Ultimately, the company is working towards the goal of a 20% energy intensity reduction by 2020 (vs. a 2010 baseline). 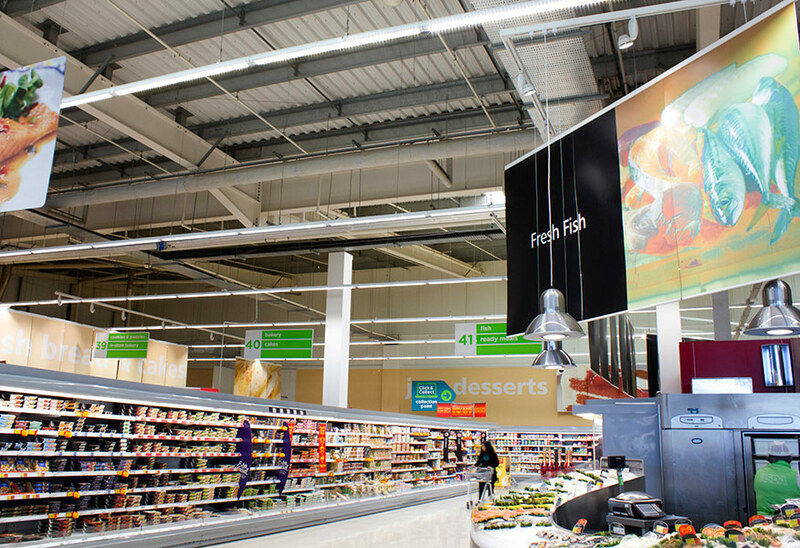 Having teamed up with a leading consultant, ASDA considered a number of LED lighting providers before deciding to enlist the help of Tamlite Lighting. A visit to the next generation lighting specialist’s Redditch, UK, premises “convinced the client and their consultant that we had the necessary capability and skill to undertake such a major programme,” says Colin Lawson, Head of Sales, Marketing and Product Development at Tamlite. The ability of the company – whose heritage stretches back to 1967 – to provide customised solutions was a critical factor behind Tamlite’s appointment. 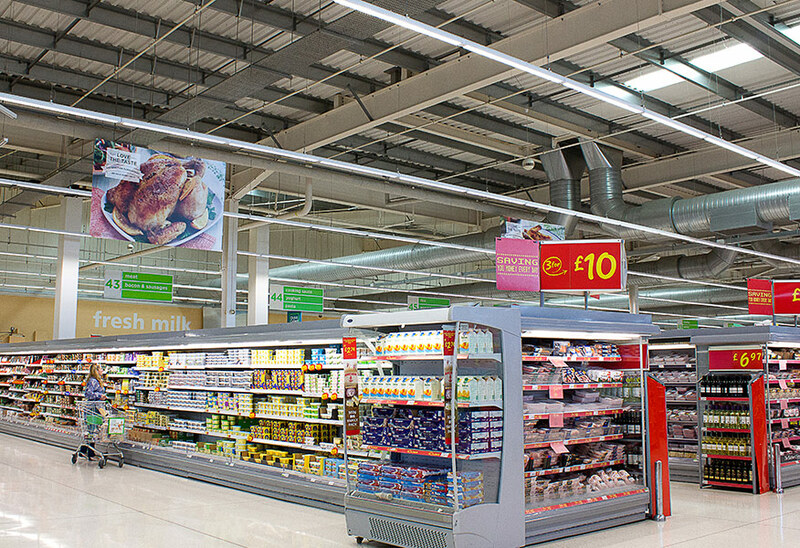 “It was clear from our many successful projects in the retail arena that we would be able to deliver the flexibility of operation and high-quality solutions that ASDA was requiring,” adds Colin. Working to a brief that called for long-term energy cost savings in addition to an enhancement of the lighting quality and therefore the overall customer experience, Tamlite set about devising a replacement for the existing lighting systems – many of which featured T5 or T8 fluorescent systems utilising a unique track and tray mounting system. Now deployed at more than 50 stores nationwide, the resulting solution sees Philips Fortimo LED modules utilised in conjunction with a bespoke retro-fit gear tray and optic controller that were designed in-house by Tamlite and which provide a high degree of glare control and output. The combination has already been shown to reduce energy bills by as much as 37% across a number of 24-hour sites, while the long-life of the LED fixtures will inevitably contribute to much lower maintenance costs over the next years. The success of the solution also underlines Tamlite’s ability to provide bespoke responses to specific customer requirements. “Particularly in existing buildings with older ceiling types, it can be necessary to provide specially designed fixtures that make it possible to implement the next generation lighting. Many stores, especially those in retail, also have very clear ideas about overall system control so they can achieve the lighting conditions they require. Here at Tamlite we have a very extensive team of experts who are able to respond to these type of expectations,” says Colin. Although a significant number of stores have already been covered by the project, Colin confirms that it is very much an ongoing scheme that is likely to include the installation of Tamlite panels and other products at further UK sites. Meanwhile, personnel at the ‘converted’ stores have been able to report some very welcome benefits alongside the obvious cost-efficiencies.